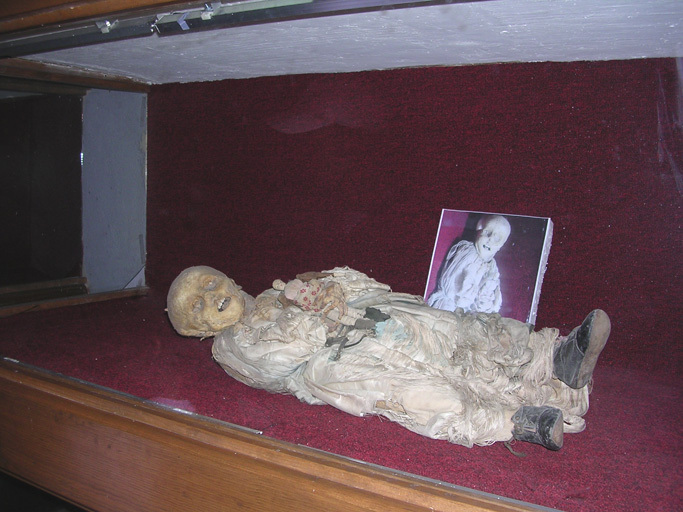 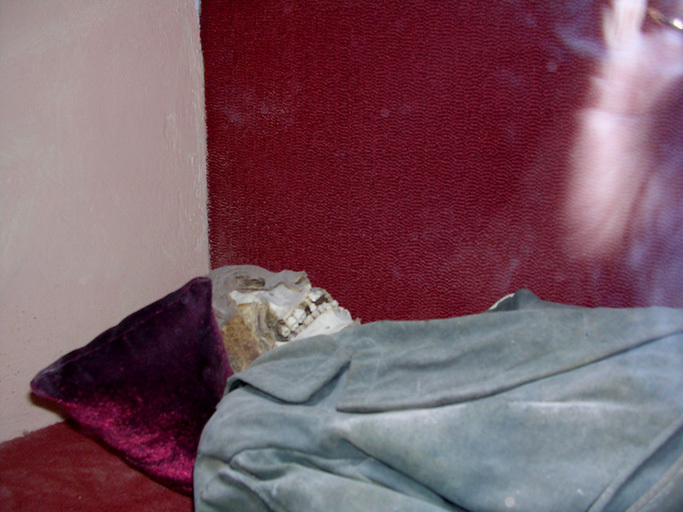 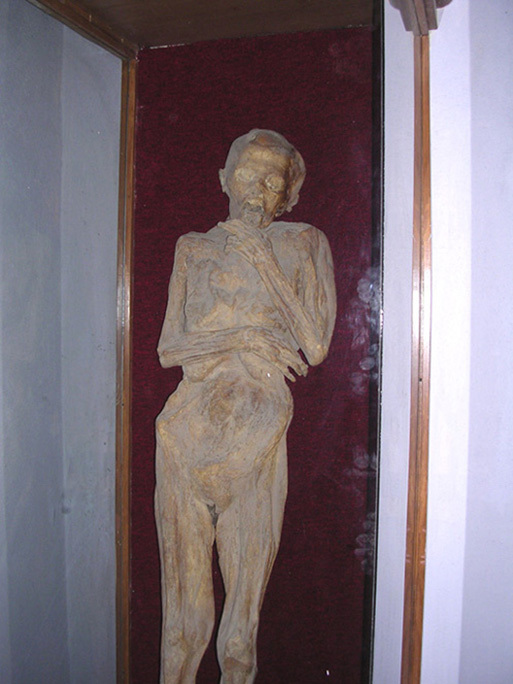 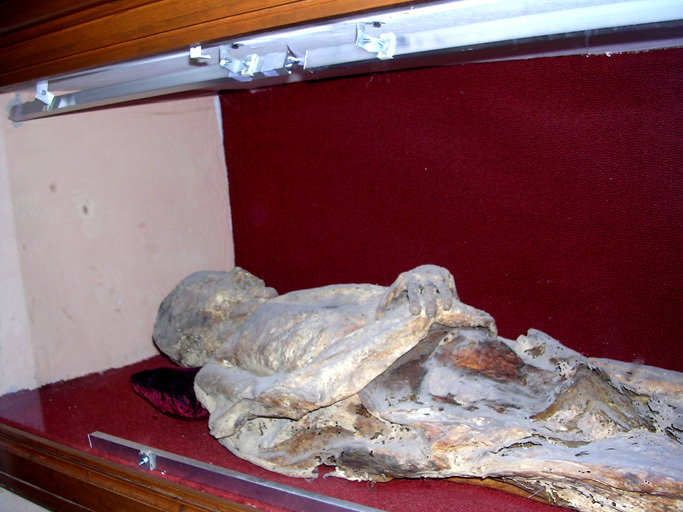 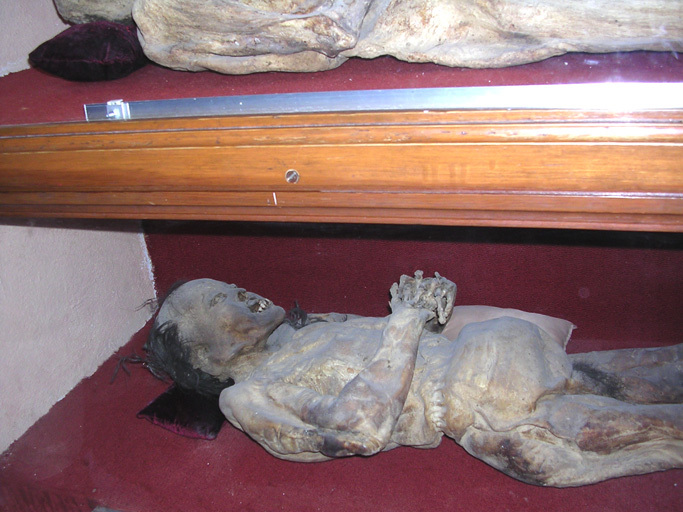 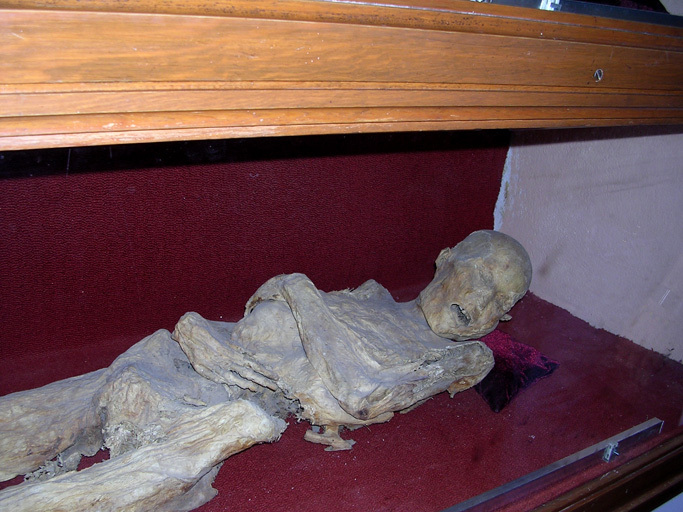 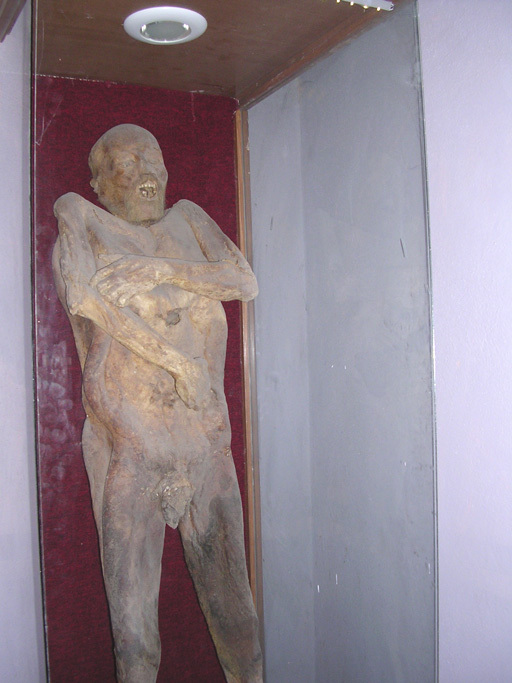 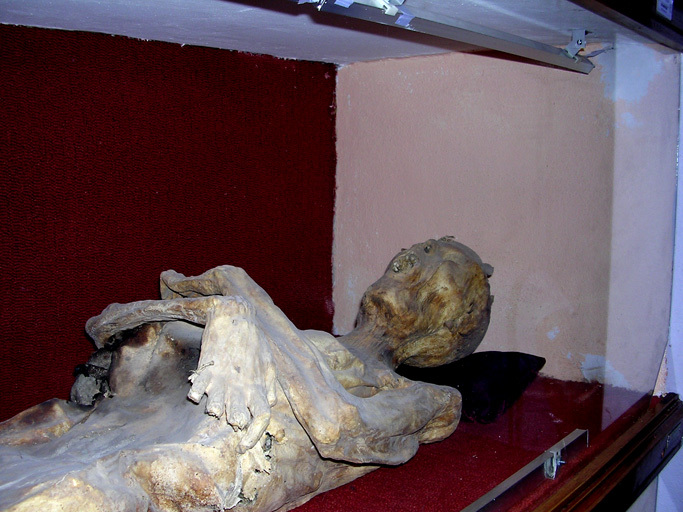 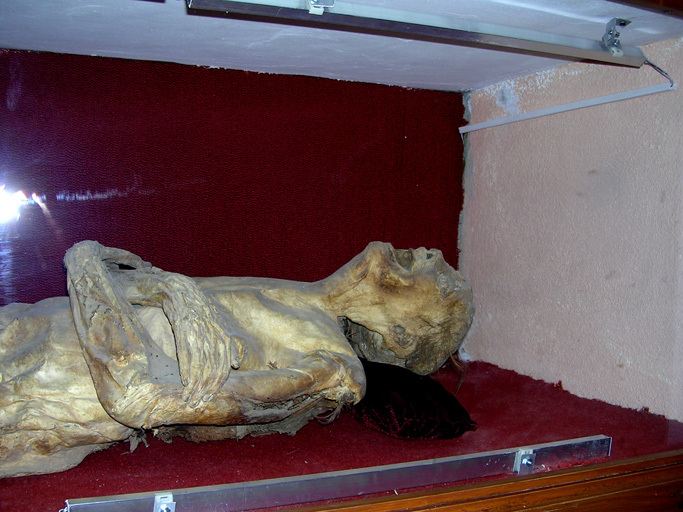 The City of Guanajuato has a type of soil that permits bodies to be mummified naturally. 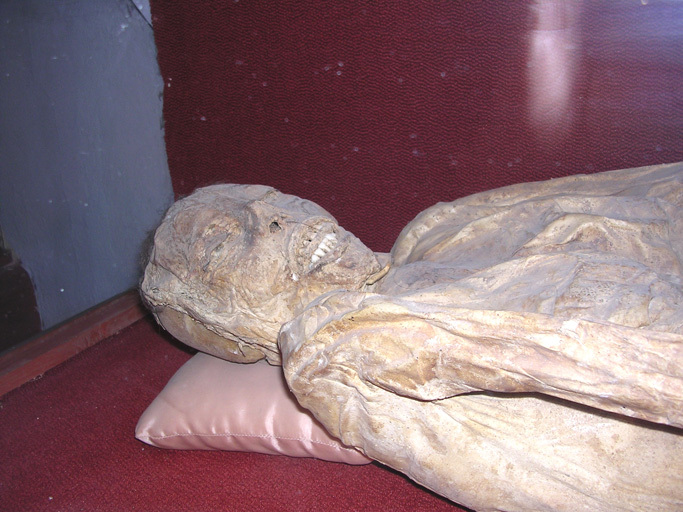 In the downtown museum of mummys there are 100 mummies on exhibition. 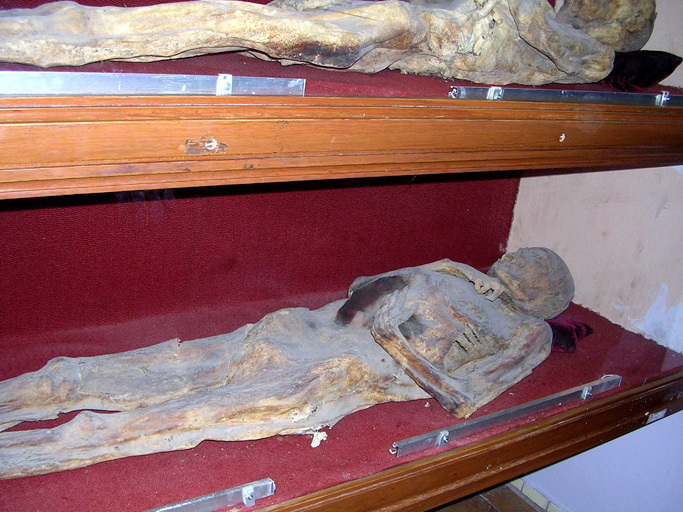 A number of them are shown here below. 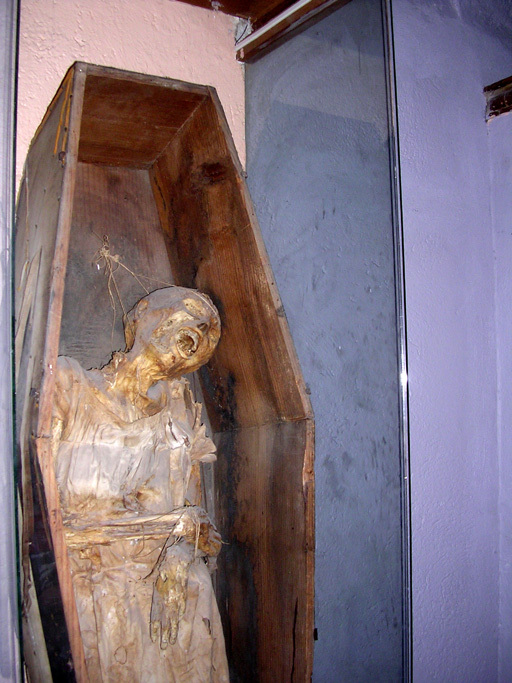 They were all dug up here at local cemeteries. 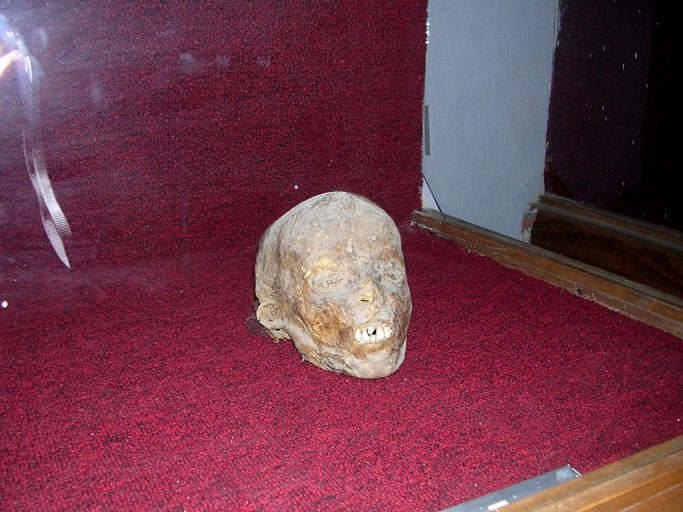 They say if you can prove one is from your family, you can take him with you! 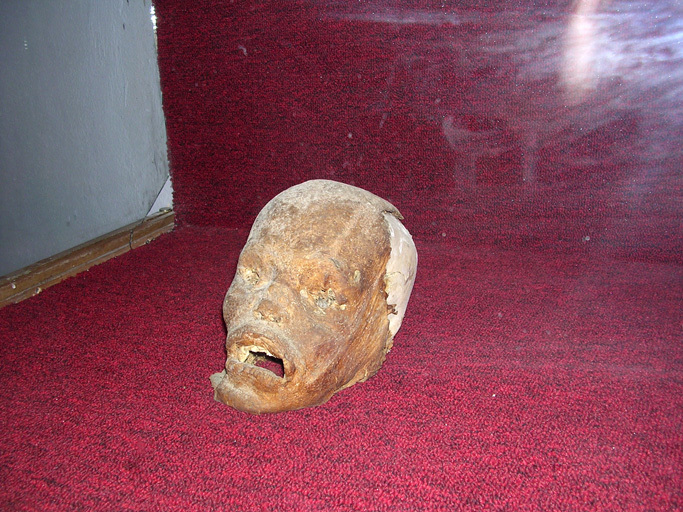 That will give you a crick in the neck! 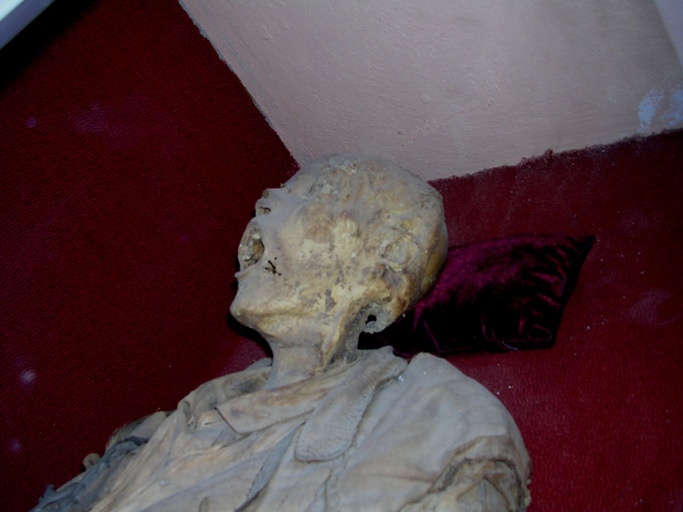 Moral of the story...Don't sleep on the bottom bunk! 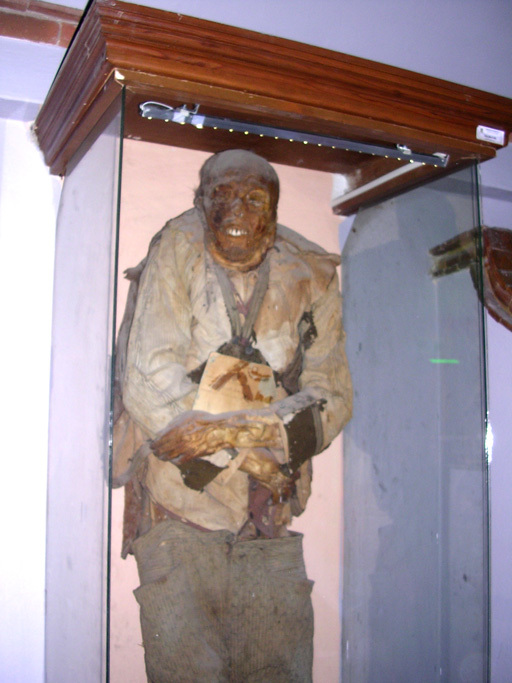 Do you think he froze to death?